The All-Star weekend is finally upon us, and with it comes other spectacles: notably the Home Run Derby. This is where the league’s best power hitters—not necessarily the overall best hitters—compete for Major League Baseball’s home-run crown. The eight competitors are from various teams this year and they are: Albert Pujols, Todd Frazier, Josh Donaldson, Joc Pederson, Manny Machado, Anthony Rizzo, Prince Fielder, and Kris Bryant. As a whole, the group has already hit 151 combined home runs this season, meaning it should be a fruitful competition. And though more than a few of them have competed in the Derby before, this year is sporting a brand new format—one that’s supposed to be more fan-friendly. Instead of the traditional format where every player gets 10 outs (an out was any swing that did not result in a home run), the league has moved to a tournament-style, single-elimination format. Each player gets five minutes to crush as many home runs as they can—i.e. there are no outs like in years past. Despite this change seeming to go against tradition, it should result in more excitement for the fans. The players became picky in their pitches when they were limited to 10 outs, which resulted in them taking pitch after pitch until they got one in their sweet spot. The new format doesn’t allow for pickiness—the players pretty much must swing at everything they can get their bats on. Based on this change there should be more home runs and the bracket should result in more one-on-one action…thus more excitement. Of the eight contestants, two of them competed a year ago: Donaldson and Frazier, with Frazier finishing in second place. This year will be different, though, and with that, experience isn’t necessarily a good thing. And Yoenis Cespedes, the winner in 2013 and 2014, didn’t get selected to participate, so it’s anybody’s Derby. Without further ado, here are three players who have the best chance to take home Monday’s crown. 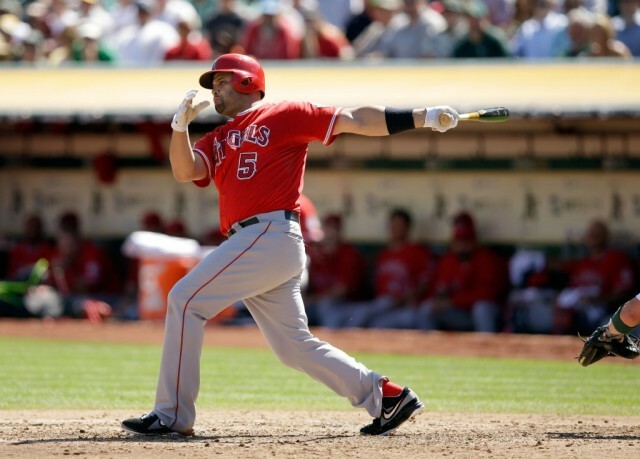 This 35-year-old slugger has revived a career that seemed to be on the downslide going to back to when he signed with the Angels in 2012. He has 26 home runs on the year, tied for the best in the American League, and also leads all of the other contestants. And on top of the impressive numbers he’s posted already this season, he received the number-one seed in this year’s bracket, which should give him a less difficult road to the championship bout. The 2015 Derby features two rookies (Pederson and Bryant), and a few other players who have not competed before. This bodes well for Pujols, who’ll be hitting in his fourth Home Run Derby throughout his career. Though he’s never won before, his ability to know his limits and what it takes to win should give him an edge over the younger guys. But that experience also goes the other way. Pujols is by far the oldest player in the field, meaning potential early fatigue. And with the new format, speed and endurance will be all the more important for the contestants. Despite Pujols’ age, his numbers on the year don’t lie, and you know a Derby crown would go nicely with his many other hitting accolades. 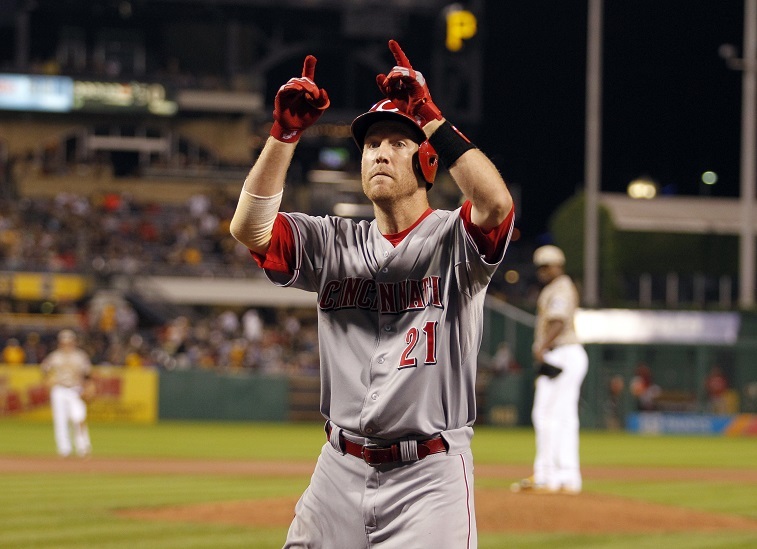 Frazier, Cincinnati’s third baseman, is the only hometown player in the event. And if there’s one thing he knows how to do, its hit home runs at his home park. Even if Frazier wasn’t one of the game’s best power hitters—he comes into the event with 25 home runs on the year, just one shy of Pujols—hitting home runs is a lot easier in a comfort zone. He knows the park’s sweet spots, he’ll be comfortable at the plate, and he’ll have the Reds’ fan support behind him. Similar to Pujols, Frazier enters the event as the second-seeded hitter, which gives him a slight edge. 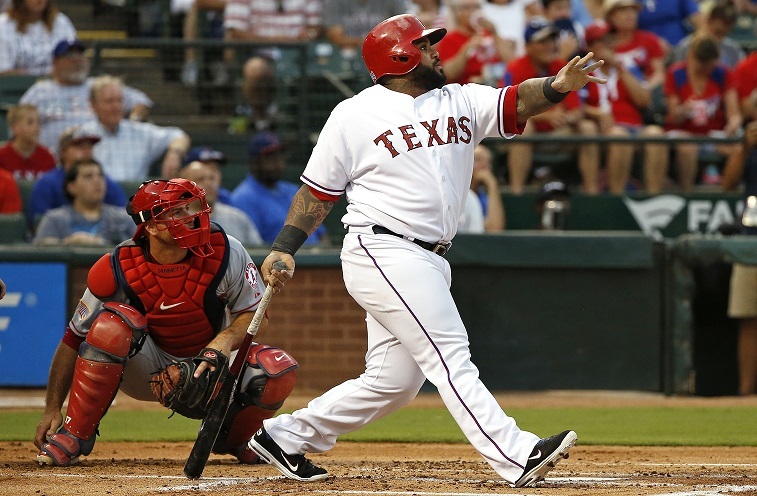 However, unlike Pujols, his first round matchup isn’t a breeze: it’s Texas first baseman Prince Fielder, who’s another favorite despite his low seed. And as mentioned before, Frazier competed a year ago, so he certainly should be more familiar with the strategy and tempo needed for a successful Derby. Regardless of a road that could include facing Fielder and Toronto Blue Jays third baseman Josh Donaldson (who just missed this list), Frazier’s home-field advantage coupled with his power could propel him to the title. Fielder enters the event as an underdog…or at least as much of an underdog as a power-hitting lefty can be. He only has 13 home runs on the season, and is coming off an injury that sidelined him for the entirety of last year, hence his seventh seed. But he’s proven time and again in the Derby that he’s not to be underestimated. Fielder won the crown in 2009 and again in 2012, and if he could wrangle the 2015 title, he’d join elite company: only Ken Griffey Jr. has ever won three titles. However, Fielder’s road to his third crown starts with Frazier—the second player on this list and certainly a worthy contender. And just as Frazier will have to get past Donaldson if he makes it to the second round, so will Fielder. He will have one advantage that not a lot of the other hitters have, though. Great American Park is a hitter’s park all over, but specifically for lefties. It’s only 325 feet to the wall down the right field line, and 370 to right center. While for a layman that sounds pretty far, comparatively, those numbers are low in relation to other MLB stadiums. Considering Fielder’s quick bat and ability to pull the ball, the short left field wall will be a welcomed sight for fans and lefties alike. 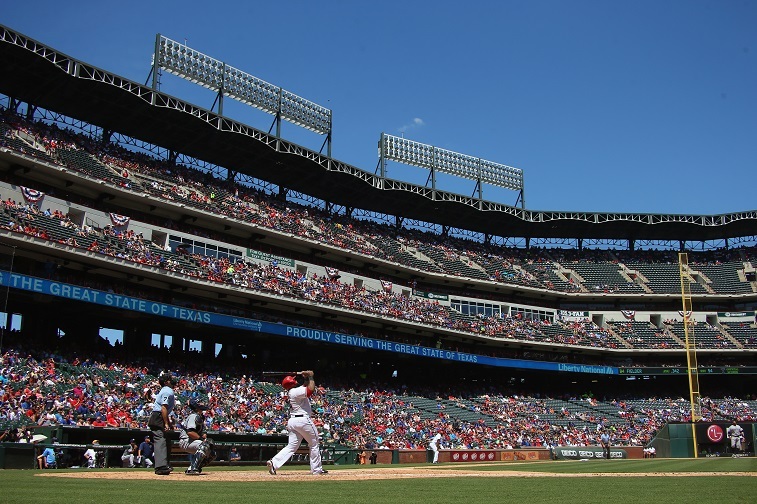 Great American has been the league’s most homer-friendly venue and Fielder will certainly take advantage of the weakness in right field; maybe enough to get him that third crown.